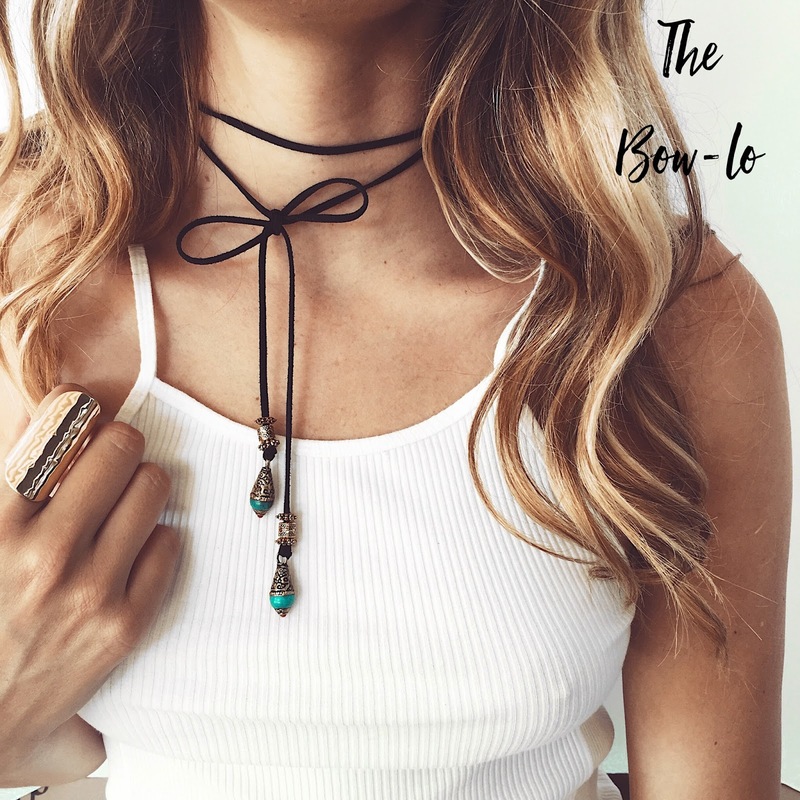 I partnered with my pal Lisa of St. Eve Jewelry to bring you 7 different ways to wear the hottest trend right now Bolo Ties. At the bottom of the post there is a chance for you to win a Bolo Tie & a $50 credit to her shop!! Good luck! 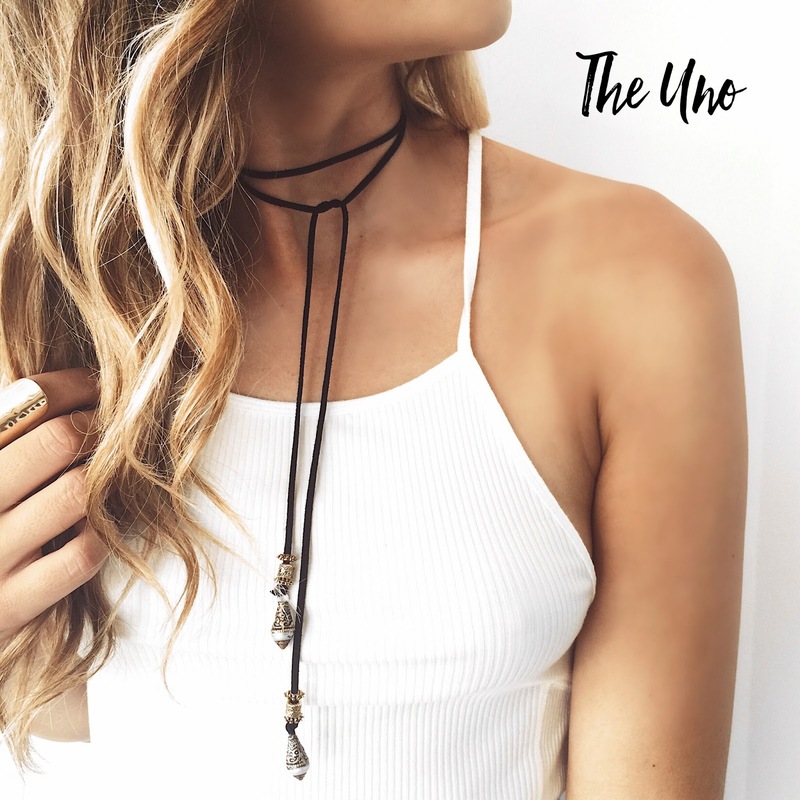 The Uno- Simply wrap the mother of pearl bolo tie around your neck and tie once. The Bow Lo- is the same as "the uno" except you would wrap the turquoise stone bolo tie around your neck and tie in a bow. 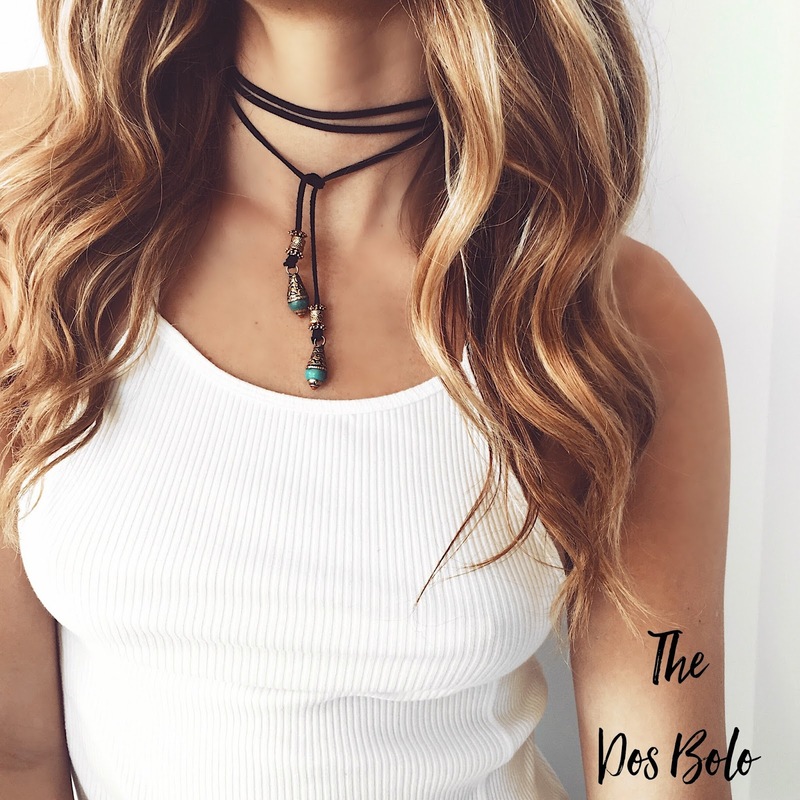 The Dos Bolo- wrap the turquoise stone bolo tie around your neck twice and then tie. Layer Above and Bolo- we can't get enough of the mother of pearl bolo tie paired with the clover choker and the horn necklace. This is our go to look we love! 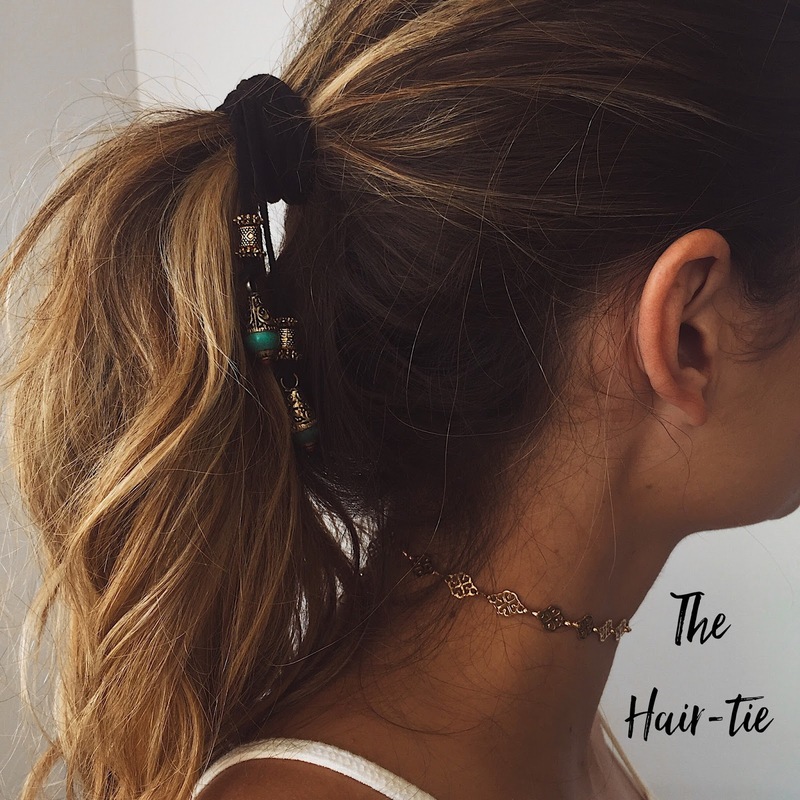 The Hair tie- we suggest using a black or clear rubber band, that way you can disguise it while wrapping the turquoise stone bolo tie around your pony multiple times. Then tie it on the side- this way you can see the beads and you are done! 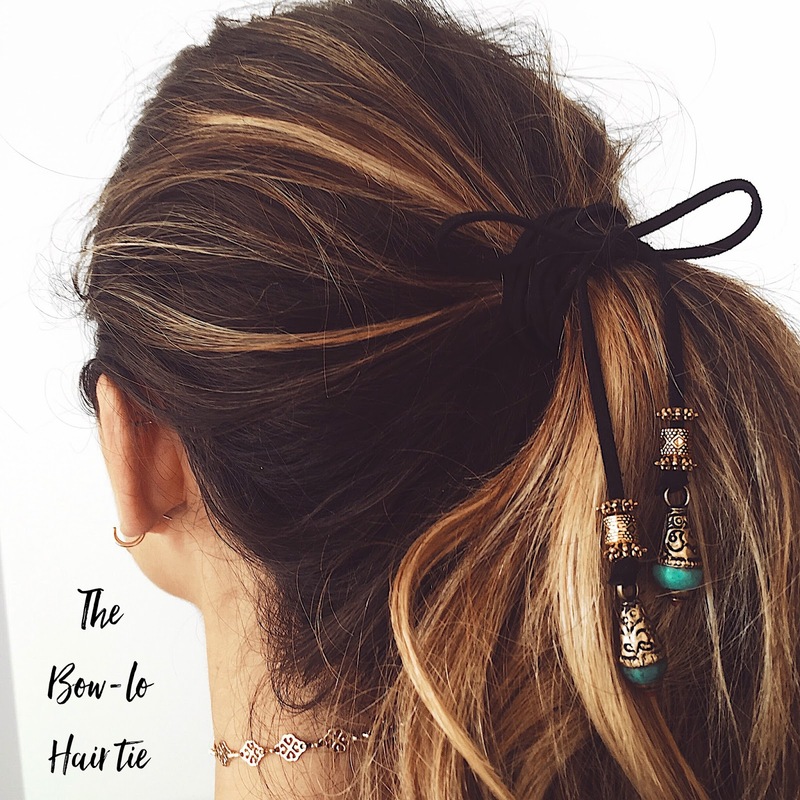 The Bow lo hair tie-follow the directions for "the hair tie" and leave enough room so that you can tie a bow at the end of the turquoise stone bolo tie. Shop the tank I am wearing by clicking here. cheap choker necklace, now it is available in the market having various design, Looks attractive, prices are cheap but looks as original and gorgeous. Women likes those items from various its design. So you may buy those for your fashion.